Do you like big Benz coupes? Do you long for the days when AUTOart models were mostly diecast? 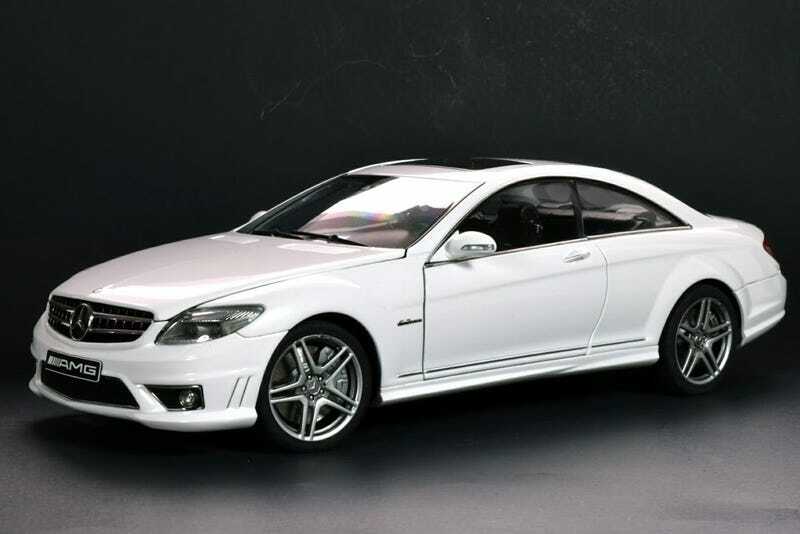 Well here’s your chance to score this CL63 from those glory days. And this is no shady auction from a new-to-ebay Chinese seller, but it must be noted that this seller’s 100% feedback score is as a buyer. As of now, the CL63 is sitting at $80 with free shipping and no bids with about 9 hours left. As a point of reference, I got mine last year for around $120. If I weren’t watching some other auctions, and didn’t have the same color, I would probably do something foolish. Happy Hunting.